Keep your child safer and enjoy more peace of mind by adopting parental control technology to mitigate the risks your child will be exposed to online, through mobile mobile usage, and in the real world. Apart from always being able to know what truly is going on in your child's life, parental control technologies enable you, as a parent, to control device usage, from "how" a device can be used, to "how often" and "when". You have the ability to screen the content that your child is exposed to and can filter undesirable language, inappropriate images or information and moderate the company that your child keeps online - from preventing specific types of communications, to banning communication with particular people entirely. !! !monitor the current location and historical movements. Is your preteen being groomed by an online predator? Is your child mixed up with the wrong crowd or taking drugs? 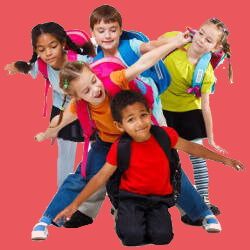 Is your son or daughter bullying someone or being bullied by someone? Is your child stealing from you or from others? Is your teen engaged in inappropriate activities or criminal behaviour? These are only a few of the possible 'nightmare' scenario questions that we, as parents, never would wish to answer with a YES - ever. Unfortunately, no matter how great we are as parents, or what sort of home or background our children come from, there is always some degree of risk that they may be targeted or endangered. Intertel's investigators, detectives and security experts offer parents sound, proven advice, child monitoring and parental control resources, tools and strategies for preventing and dealing with 'nightmare' scenarios, and ensuring the safety and security of your child. We offer no-obligations, free telephonic, live chat and email consultations to parents in need of assistance. We can also arrange to meet you in person if you would prefer to discuss a sensitive matter face-to-face. If you are concerned about your child in general or if you need to get the facts surrounding a particular situation that involves your child (or an incident that you know or suspect somehow involved your child) then contact Intertel as soon as possible. A private investigator can discuss the various options available to you and will work with you every step of the way to ensure that your child is protected and that you gain control of the situation. Our investigators are able to assist you with gathering all the facts concerning your child's activities and actions, and ultimately, if you are faced with a challenging situation involving your child, we will be able to assist you in overcoming it, and giving you peace of mind. We offer tailored services, advice and products that will enable you to uncover the truth, make totally informed parenting decisions, protect and preempt risk to your child. Intertel's parental control and child monitoring products are concerned with ensuring the safety, security and well-being of your child, both online and in the real world. Our products are easy to install, simple-to-use and are completely do-it-yourself solutions that we have chosen for their reliability, quality and performance. Our products are reasonably priced, are covered either by a manufacturer's warranty or by an Intertel guarantee, and can be purchased within minutes from our Spy Shop using credit card or EFT/bank. Software products can be downloaded immediately your payment has been processed and hardware products will be couriered to you or can be collected from us in person. The most popular parental control and child monitoring products that we provide are briefly described below. Monitoring Communications - Know who your child is communicating with and what is being discussed or planned. CellSpy will enable you to read the messages that your child is sending and receiving, whether they are SMS's, emails or chats (such as WhatsApp and BBM) - even if they are deleted immediately after your child sent or received them. CellSpy will also allow you to listen to actual phone conversations - either live, as the call is in progress, or by having incoming and outgoing calls recorded and sent to you as audio files that you can listen to on your computer or mobile. Monitoring Surroundings - Know what type of environment your child is in and what activities are taking place in the vicinity. With CellSpy you are able to remotely monitor activities taking place within proximity of your child's phone. You can listen to (live) or record surrounding conversations and background audio discreetly by remotely activating the microphone. Similarly, the phone's cameras can be remotely activated and snapshots or video clips of activities taking place in view of your child can be sent to you and viewed on your computer or mobile. Tracking Location - Know where your child is, where your child is likely going, and where your child has been. Not only will CellSpy allow you to view your child's location and recent movements via a secure internet control panel, but you can have your child's current location SMS'd to phone if you do not have internet access at the time. A very useful feature of CellSpy is the GPS Leash and geo-fence which allows you to designate a safety area on a map. If your child leaves that area, you will be alerted via SMS. Control, Filtering and Blocking - Control when the phone is used, what applications are used, who is communicated with, and filter inappropriate content. This product is ideal for children that make extensive use of their cell phone. You can be alerted whenever certain keywords are used in messages or internet searches or whenever profanity is used. You can limit your child's phone usage by creating time restrictions, and will have access to phone activities. You're able to block communications with certain people or cell phone numbers and can filter which websites or content your child can access. Monitoring Communications - Know who your child is communicating with and what information is being exchanged online. CyberSpy will enable you to read the emails, chats and social networking (e.g. Facebook) messages that your child is sending and receiving - even if they are deleted afterwards by your child. In addition, CyberSpy will log all web-based accounts, usernames and passwords so you will know exactly what online accounts and profiles you child has and is using. Control, Filtering and Blocking - Control when the computer is used, what applications are used, who is communicated with, and filter inappropriate content. CyberSpy can be effectively used as a parental control tool which runs secretly in the background and cannot be disabled by your child. You can be alerted whenever certain keywords are used in messages or internet searches or whenever profanity is used. You can limit your child's computer usage by creating time restrictions, and will have access to all computer (online and offline) activities, including what programs have been opened, what documents have been created or saved and so on. You're also able to block communications with certain people or email addresses and can filter which websites or content your child can access. Intertel is a technology-oriented private investigation company. Not only do we make use of the latest technology in the investigation of our cases, but an increasing number of our investigations involve incidents that took place online, or with the use of technology - usually a cell phone, tablet or computer.